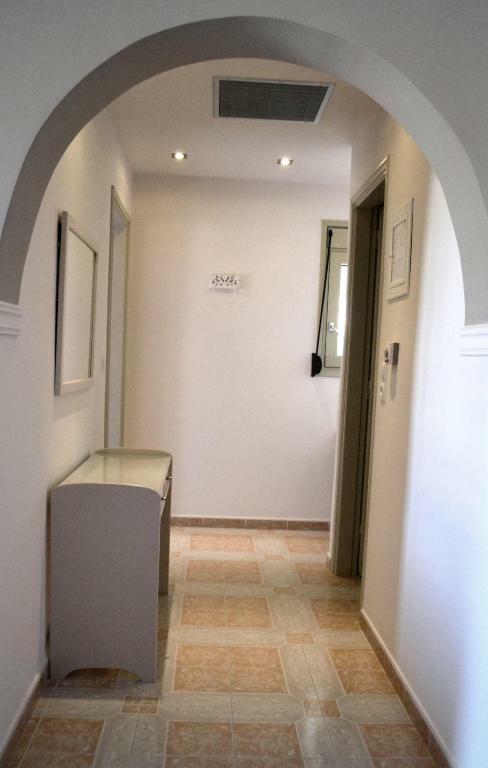 Comfortable cozy hotel with a nice pool, in a quiet location 1,5 km away from Poros center & dock. Friendly staff, buffet breakfast & several cooked dishes available for lunch. Very spacy suite room, with a kitchen & cooking utensils available. The room was very big. 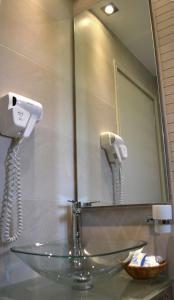 Both the room and the bathroom were very clean. The staff was very friendly and helpful. The location was great as there were beaches close by and we could walk into town in 10 minutes. Everything was fine. Location was good, close to the port, pool was nice, room was clean. And there is a very nice beach near (5 minutes walking). Stuff was very friendly and the whole place was quiet. The hotel is very pleasant. What makes the hotel so exceptional is the friendly, helpful staff from the managers to the custodians. Our stay was absolutely heavenly - wonderful staff, fabulous food, lovely surroundings. Takis and Zefi are the most fabulous, welcoming hosts. The general ambience of the hotel. The lovely breakfasts and friendliness of all the staff. Also the fact that the hotel was not too large. This is a family-run hotel and you can tell that the family takes great pride in looking after its guests. The staff are uniformly friendly and helpful. The whole facility is super clean, and the rooms were very comfortable. The self-serve breakfast is plentiful, and one night we opted to have a delicious dinner on the top-floor terrace (they were great about catering for special dietary needs). While there is a swimming beach close by (no more than five minutes walk away), the hotel has its own swimming pool. If you're arriving in or leaving Poros by ferry in summer, it's a good idea to take an inexpensive taxi ride to convey you and your luggage to/from the hotel. While it's only a flat, 10-15 minute walk, there's not a lot of shade, so it can be very hot work! Worth the taxi ride it to be in a pleasant residential area near a swimming beach and lots of waterside restaurants. Would happily stay there again. Nice location and room with sea view. Zofi provides breakfast with your chosen ingredients. Also, she recommended places to visit and bicycles rent service. Looking forward to coming back! 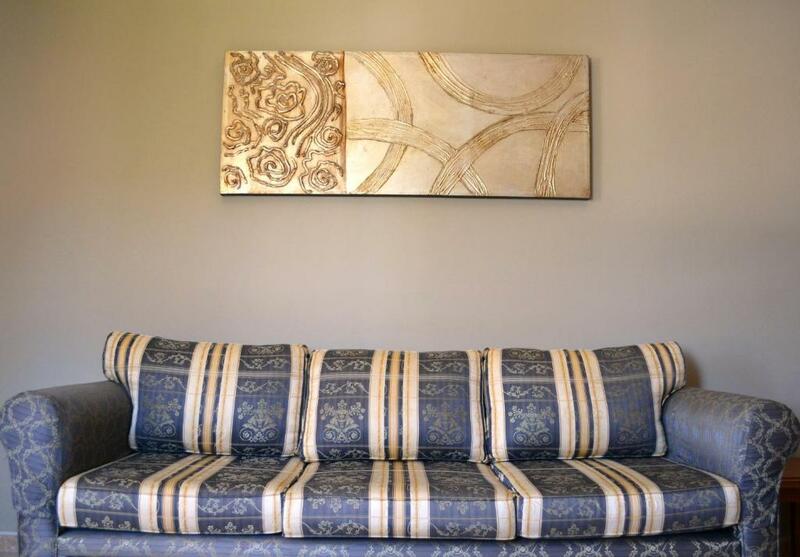 It was very clean and comfortable and the staff were kind and helpful which was much appreciated. Peaceful location and loved the swimming pool. Lock in a great price for Saga Hotel – rated 9.2 by recent guests! Saga Hotel This rating is a reflection of how the property compares to the industry standard when it comes to price, facilities and services available. It's based on a self-evaluation by the property. Use this rating to help choose your stay! 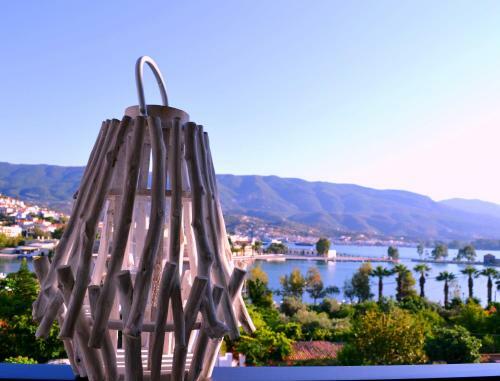 With breathtaking views of Poros and the harbor from its rooftop terrace, this family-run hotel offers excellent service and comfortable rooms with free wireless internet and breakfast included. 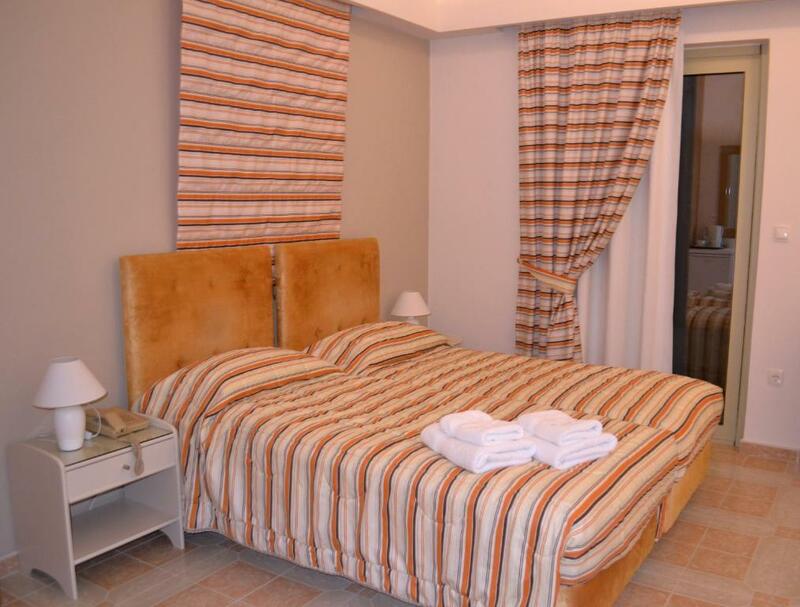 Saga Hotel is just 350 feet from the seafront, between Canali Beach and Neorio Bay. The beautiful Love Bay is just a few minutes' drive away and Poros Town is 10 minutes' walk away. The friendly family owners of Saga Hotel are available 24 hours a day and renowned for their warm hospitality. 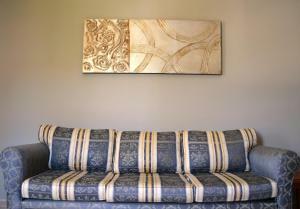 Saga's rooms are comfortably furnished and are fully air-conditioned. They are fitted with Candia Strom mattresses and have well-equipped kitchenettes. Breakfast is served around the pool or on the lovely rooftop terrace. The hotel is also close to supermarkets, shops, bike rental shops and the local bus stop. 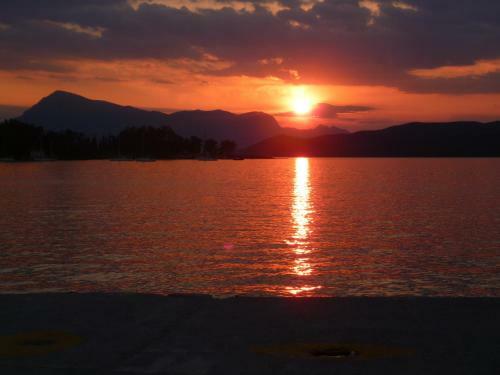 This is our guests' favorite part of Poros, according to independent reviews. 뀐 Located in the top-rated area in Poros, this property has an excellent location score of 8.8! When would you like to stay at Saga Hotel? Spacious room with views of the sea, pool and garden. It comes with air conditioning and a 22-inch Plasma TV. Features 2 single beds or a queen-size bed. Spacious room with kitchenette, air conditioning and a 22-inch Plasma TV. Spacious family room with pool or sea views. 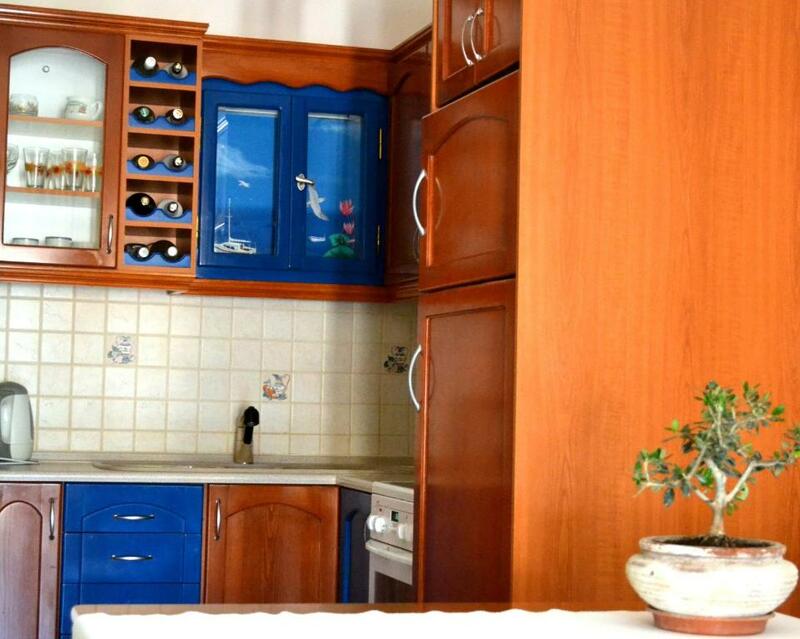 Features a kitchenette. Its beds are fitted with Candia Strom mattresses. Other features include air conditioning and a 22-inch Plasma TV. 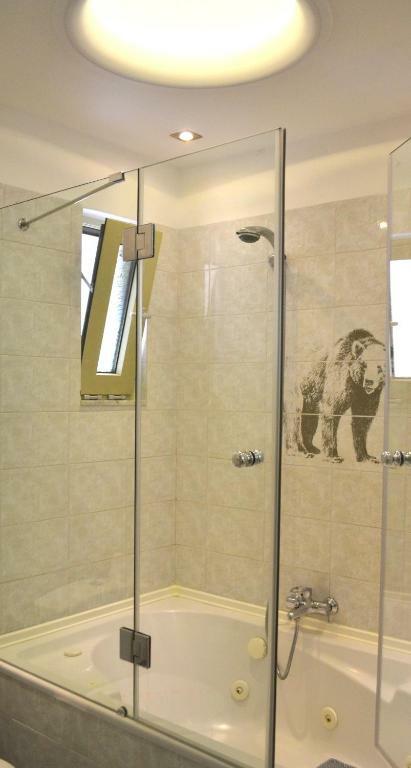 Fully renovated, this suite offers a separate bedroom and bathroom with a large spa bath. Other features include a 22-inch Plasma TV and air conditioning. 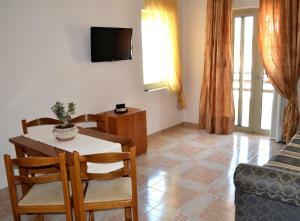 Spacious, garden-view room with air conditioning and a 22-inch Plasma TV. 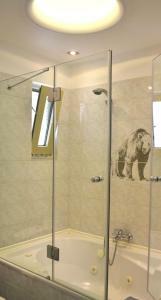 Room features a shower cabin equipped with hydromassage, aromatherapy, chromotherapy and hammam. This suite has a balcony, kitchenware and oven. A cosy family run hotel with excellent service and breathtaking views - a real home from home. All of our comfortable rooms are equipped with modern facilities (including a fridge and a kettle) and offer well appointed ensuite bathrooms. We are located in the heart of Poros, only a short 3 minute walk to the nearest beach and about a 10 minute walk into Poros town. We offer free wireless internet in all areas. A varied buffet breakfast is available every morning in the dining room. Delicious homemade snacks, smoothies, drinks, cocktails and ice cream are served at the pool bar. The roof bar offers one of the best views in the area. You can enjoy a drink or a cocktail in the evening while enjoying the stunning view. The friendly atmosphere at Saga combined with the beauty of the Poros island will make your stay here unforgettable! We look forward to welcoming you. I have run the Saga Hotel for 20 years. At Saga we understand that holidays are precious times and we want everyone who stays with us at Saga to have the best holiday. Saga Hotel is located in the heart of Poros, only a short, three minute wal to the nearest beach and about a ten minute walk into Poros Town. 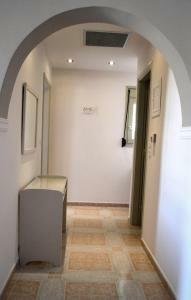 The hotel is set back from the road in a quiet area with breathtaking views of Poros and the sea. There is a supermarket approx. 300 metres away and local tavernas nearby. Nearby beaches offer a variety of watersports, canoe hire and diving. There are beautiful walks and places to explore nearby on foot, bicycle, motorcycle, quad bike or by car. House Rules Saga Hotel takes special requests – add in the next step! Saga Hotel accepts these cards and reserves the right to temporarily hold an amount prior to arrival. Very welcoming owners. Breakfast with great variety of fresh homemade products (amazing orange pie or portokalopita). Rooms are spacious. Lovely view. Comfortable beds. Very clean. Good location. Zefi & Thakis the owners are so friendly & helpful. Lovely atmosphere in this family run hotel. There were guests staying there who are repeat customers over many years, which speaks for itself. I would highly recommend this hotel. Lovely pool. Saga is an amazing hotel, and obviously has people returning year after year as a result. I am planning to become one of them. Sample Zefi's orange cake and olive oil and garlic spaghetti if you get the chance, they are both out of this world. Hotel room needed some renewal works, as the furniture was a bit old, bathroom equipment needs fixing and kitchen drawers need some maintenance. Aircondition blows straight in to your face at night. Sore throat in the morning. Location was excellent. Balcony and pool were suberb. Very nice staff. Very nice hotel on a very beautiful Poros island. Zefi and other people at the hotel helped us in everything we needed. They really care about comfort of their guests. The breakfast was excellent. We booked a room with sea-view but because the room was on the lower floors it was impossible to see the sea from the balcony. A very friendly family owned hotel.